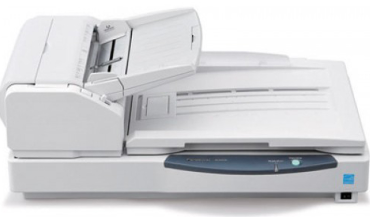 The Panasonic KV-S7075C scanner is designed to streamline your scan operation. Scanner Panasonic KV-S7075C low volume production scanner combines flatbed and ADF sheetfed to create an all-in-one scan solution. With the ability to scan almost all types of documents, from business cards to legal paper sizes, the KV-S7075C is an important solution for scan environments that handle large volumes of separate documents, as well as bound items such as books or passports. The KV-S7075C also features the ability to scan documents continuously up to 100 lengths such as ECG reports or logs as well.